Carey's own portrait of Marie Tussaud, whom he describes as a "Dickensian mollusk" of a woman. A few doors down from the entrance, a woman hawks discount coupons for the wax museum. Carey points to the sign rising above her, topped with a huge gold hand. "It's Marie Tussaud's enormous hand, as if she was a genie," he says. "She's suddenly become enormous and she's holding a sign that says her name in flashing lights. I think it's just wonderful, pointing out to everybody: This is it, Madame Tussaud is here." Carey remembers visiting the original wax museum in London as a child: "And it terrified me. I hated going there and I never forgot it." But he became fascinated with Madame Tussaud when he worked at that museum — many years after those childhood frights. She seemed like a character from a fairy tale, he says. A small woman, she fled the French Revolution, arrived in England with the wax heads of many of the famous people who had lost theirs under the guillotine, and set up a museum that became wildly successful. "It's a strange fairy tale but I feel it is the most extraordinary fairy tale. And it is a fairy tale about this little person and history." Tussaud began her career in wax under the tutelage of Dr. Philip Curtius, who made body parts of wax for medical students. In the novel, the two move to Paris, and with the help of a despotic widow named Picot, Curtius expands his craft to the sculpting of heads which they display in a converted monkey house for a fee. Later, Tussaud — whom everyone calls "Little" — becomes a companion to a royal princess and lives at the palace of Versailles before the Revolution. Carey says he did extensive research on the history of that period. "I got lost in the research, and I had to try and take myself back to how it felt working in the waxworks, to how it was being with these dolls, about the atmosphere of the dolls, about the personalities of the dolls themselves." Which is why we decided to immerse ourselves in the world of these wax figures. The first stop on our tour is the A-list room, where you'll see the stars of the red carpet: Johnny Depp, Angelina Jolie, Brad Pitt, Carrie Underwood, standing stock-still as deafening dance music pounds around them. Visitors move in to stare and have their pictures taken with them. "It's a very strange way of looking at humanity," Carey says, straining a little to be heard over the music. "And of course there is now a lady standing next to Anne Hathaway and putting on a smile and holding her arm.There's something both delightful but also very upsetting about it." Carey says that when he worked at the London museum, he loved being alone with the waxworks. "It was my favorite, favorite moment of any day because you'd stand beside them, and when there's nobody here, there is enough oxygen for the models to have their own presence." The atmosphere changes as we leave the celebrities behind and move toward the rooms filled with historical figures — Amelia Earhart, Albert Einstein, the Kennedys. The original London museum, says Carey, was like the French Revolution brought to life. He remembers seeing some of the original wax heads made by Tussaud herself, like a model of the philosopher Voltaire. "[He] was a waxwork that she made when she was very young, and it was just amazing, Voltaire's toothless grin as an old man, he looked like a monkey. It's an incredible face and they have a different spirit, because she was touching history, she knew these people." These strange re-creations of human beings captured Carey's visual imagination, and it got him thinking about writing and illustrating a book. But what really inspired him was Madame Tussaud's own self-portrait in wax. "She is incredible, this tiny little Dickensian mollusk of a woman; she's wearing Victorian bombazine and she looks kind of small and wise and she is in charge, there's no doubt about it." Fiction, it turns out, was a good way to capture her — because Madame Tussaud is an enigma. No one is sure how much of what she said about her life is true. And, Carey says, "Nobody ever took a photograph of her, which seems to me perfect. Not her medium. She was wax." This story was produced for the radio by Tom Cole and adapted for the Web by Petra Mayer. Madame Tussaud is a familiar name. You might have visited one of her wax museums, but few people know anything about Madame Tussaud, like the fact that she was tiny. That is why a new novel based on her life is called "Little." It's by Edward Carey, who wrote and illustrated the book. NPR's Lynn Neary met Carey at one of Madame Tussaud's wax museums, of course, and has this story. LYNN NEARY, BYLINE: We start in New York's Times Square because that's where the biggest Madame Tussaud's in the U.S. is located. Surrounded by massive video billboards and the cacophony of 42nd Street, it feels like the right setting for a museum filled with famous figures built from wax. UNIDENTIFIED PERSON: Madame Tussaud's - discount. NEARY: A few doors down from the entrance, a woman hawks discount coupons for the wax museum. Writer Edward Carey points to the sign rising above her. Topping it is a huge, gold hand. EDWARD CAREY: It's Marie Tussaud's enormous hand as if she was a genie. She's suddenly become enormous, and she's holding a sign that says her name in flashing lights. I think it's just wonderful pointing out to everybody this is it. Madame Tussaud is here. NEARY: Carey remembers visiting the original wax museum in London as a child. CAREY: And it terrified me. I hated going there, and I never forgot it. NEARY: Carey became fascinated with Madame Tussaud when he worked at the museum many years later. She seemed like a character from a fairy tale. A small woman, she fled the French Revolution, arrived in England with the wax heads of many of the famous people who had lost theirs under the guillotine and set up a museum, which became wildly successful. CAREY: It's a strange fairy tale, but I feel it is the most extraordinary fairy tale, and it is a fairy tale about this little person and history. NEARY: Tussaud began her career in wax under the tutelage of Dr. Philippe Curtius, who made body parts of wax for medical students. In the novel, the two moved to Paris and with the help of a despotic widow named Picot, Curtius expands his craft to the sculpting of heads, which they display in a converted monkey house for a fee. Later, Tussaud, who everyone calls Little, becomes a companion to a royal princess and lives in Versailles before the revolution. Carey did extensive research on the history of that period. CAREY: And I got lost in the research, and I had to try and take myself back to how it felt working in the waxworks, to how it was being with these dolls, about the atmosphere of the dolls, about the personalities of the dolls themselves. NEARY: Which is why we decided to immerse ourselves in the world of these wax figures. The first stop on our tour - the A-list room, where you'll see the stars of the red carpet - Johnny Depp, Angelina Jolie, Brad Pitt, Carrie Underwood - standing stock still as deafening dance music pounds around them. Visitors move in to stare and have their pictures taken with them. CAREY: It's a very strange way of looking at humanity, and, of course, there's now a lady standing next to Anne Hathaway and putting on a smile and holding her arm. There's something both delightful but also very upsetting about it. NEARY: Well, you said when you worked here that you liked being alone with the wax figures. CAREY: Yeah. I loved being alone with the waxworks. It was my favorite, favorite moment of any day because you stand beside them and when there's nobody here, there is enough oxygen for the models to have own presence. NEARY: The atmosphere changes as we leave the celebrities behind and move toward the rooms filled with historical figures - Amelia Earhart, Albert Einstein, the Kennedys. The original London museum, says Carey, was like the French Revolution brought to life. He remembers seeing some of the original wax heads made by Tussaud herself. CAREY: Voltaire was a waxwork that she made when she was very young, and it was just amazing. Voltaire's toothless grin as an old man who looks like a monkey - it's an incredible face, and they had a different spirit because she was touching history. She knew these people. 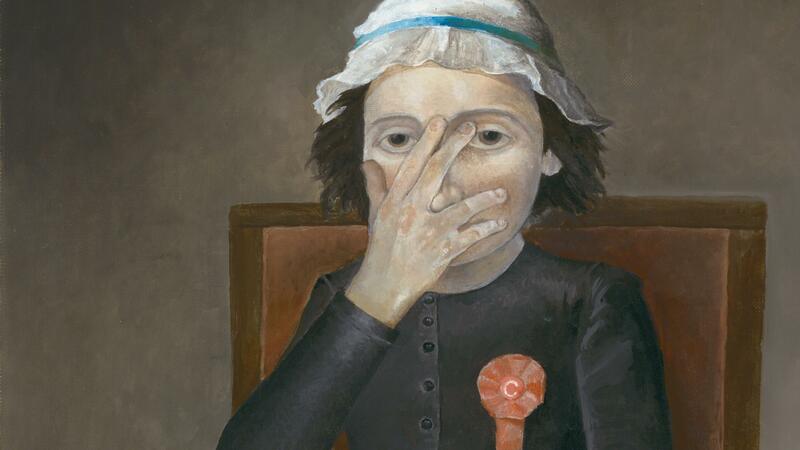 NEARY: These strange recreations of human beings captured Carey's visual imagination. It got him thinking about writing and illustrating a book. But what really inspired him was Madame Tussaud's own self-portrait in wax. CAREY: She's incredible, this tiny little Dickensian mollusk of a woman. She's wearing Victorian bombazine, and she looks kind of small and wise, and she is in charge. There's no doubt about it. NEARY: Fiction, it turns out, was a good way to capture her because Carey says Madame Tussaud is an enigma. No one is sure how much of what she said about her life is true. And he says she died before photography was invented. CAREY: Nobody ever took a photograph of her, which seems to me perfect - not her medium. She was wax. 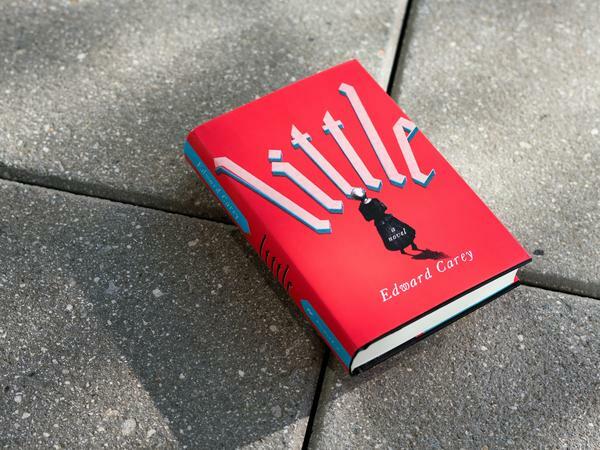 NEARY: Edward Carey - his new novel, based on the life of Madame Tussaud, is called "Little." Lynn Neary, NPR News, Washington. Transcript provided by NPR, Copyright NPR.